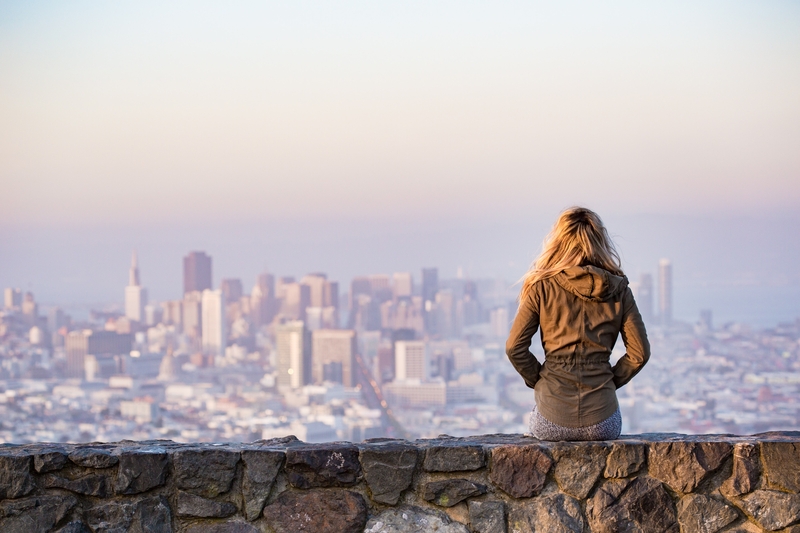 Whether you’re coming to New York for a work trip or you’re spending time here on vacation, most of us will need to check into work at some point on our trip. 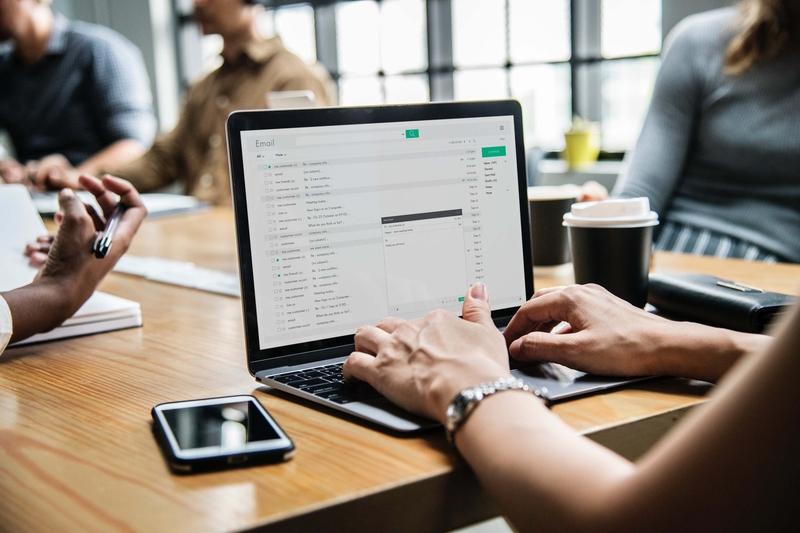 But as it turns out, there are lots of great free and paid remote working and coworking spaces in New York, whether you want an office atmosphere or just a casual spot to connect to free wifi to check a few emails. We’ve put together our list of the top remote working spots in New York City. From al fresco work to bargain spots that will allow you to get productive without spending a lot, to hidden gems and hidden back bars, we have every remote working scenario covered. On a beautiful day, spend your workday outside at the Brooklyn Bridge Park, where you can enjoy free wifi and waterfront views. With a variety of spots to eat and drink, plus spaces like the Granite Terrace to set up shop for the day, this is a perfect place to make a workday feel like a day off. Pay your admission to this museum and combine sightseeing with working. The Met has free wifi and plenty of secluded spots to sit and crack open your laptop or answer a few emails. Plan a few hours of work into your day and spend the rest of it exploring one of the country’s premier art museums. If you need fuel to get you through the workday, Chelsea Market is here for you. The space has free wifi and bills itself as an “urban food court,” with shops purveying every kind of snack, meal or ingredient you can think of. Explore to find the place you like best, like the comfy Ninth Street Espresso, and you can eat your way through your next deadline. TEEM Coworking is a bargain at just $20 a day, which buys you a seat in the space and free freshly ground espresso, coffee, tea and snacks all day. Superfast wifi and a traditional setting means you can put your head down and get in a good day’s work. Arrive before 4 pm, when the Library is open only to hotel guests, and you have the perfect setting for being productive: a two-story library with custom-made furnishings, servers bringing light fare and finger foods as well as coffee and cocktails, and even an eclectic literary collection. Cozy up and get it done. One of New York’s unique public spaces housed within a private building, this atrium hosts weekly live music performances. Work all day and catch a show as a reward. Grab some of the public seating, grab a sandwich from the cafe, hook up to free wifi and get to work. Rough Draft is a hybrid coworking space and full-service creative agency, and it’s everything you’d expect. With its pre-war building with lots of natural light and a kitchen stocked with healthy snacks, drinks and beer, it’s hard to decide what to like most about Rough Draft. Personally, we love the price. At just $28 for a day pass, it’s a bargain, but even more so if you’re a new member: you can work for just $14. Grab a seat and get work done in this quiet cafe, enjoying a good cup of coffee, pastry or sandwich during the day. But time your visit right and you’re in luck: a craft beer and brown spirits bar hidden in back opens up at 4 pm, which means you can get Happy Hour started. Til 7 pm during the week, enjoy $1 off select drafts, $6 well drinks and $7 wines. Nightly spcials are available too. Spring is creeping up slowly here in the Northeast, and while spring in New York City can bring some hot and cold weather, it also brings an excuse to visit some of the city’s most amazing gardens. 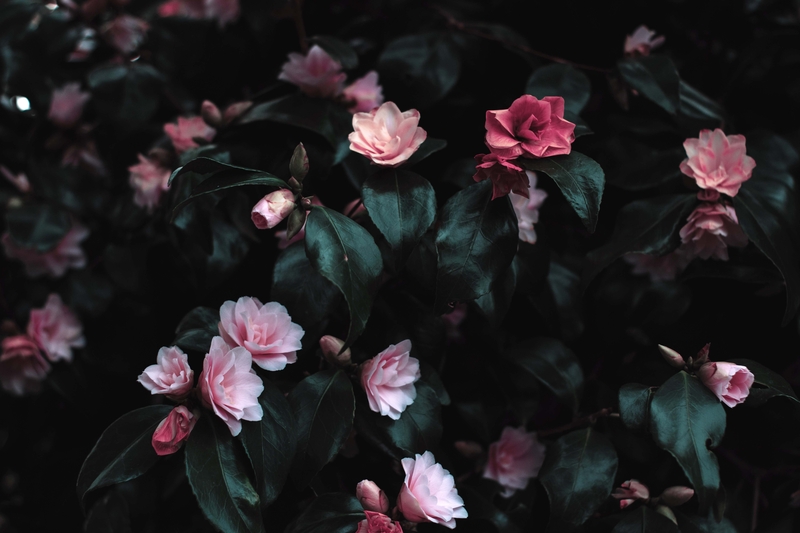 Now, lush green gardens and bright blooming flowers might not be the first thing you think about when you plan your trip to New York City in the spring, but beautiful gardens are some of this bustling city’s hidden gems. But, if you don’t know where to look, they can be difficult to find. So grab this handy list of our picks for New York City’s best gardens and start exploring! The best gardens criss-cross the city, so grabbing a multi-day tour bus pass means you can hop on and off to check these gardens, and other attractions, out during your visit! There’s nothing hidden about this botanical garden, a delight for tourists and locals alike, but there’s a reason why it’s so popular. This National Historic Landmark (est. 1891) features a museum of living plant collections over its 250-acre garden (the largest in any US city). There are more than a million plants on display and you can enjoy gardens like the Peggy Rockefeller Rose Garden, considered among the world’s most sustainable rose gardens, or any of the 30,000 trees on the property, many more than 200 years old. This casual, relaxing garden is open whenever a member is in the garden. The garden, maintained by volunteer community members, began on a rubble-strewn empty lot in the early 1980s. Today, it includes hundreds of plants and a quiet, peaceful space for the community to enjoy nature. On more than two-thirds of an acre, the Garden at St. Luke in the Fields features walks, lawns and a fine collection of garden standards, rare hybrids and native American flora. Built facing southwest and with heat-retaining brick walls, the garden features some unique flora and fauna thanks to its warm microclimate. Berries and flowers provide a rest stop for migrating birds and butterflies during spring and fall. The gardens are the private property of the Church of St. Luke in the Fields, built in 1821, gbut are open to the public. The Bartow-Pell Mansion Museum is a great two-for-one in that you can visit beautiful gardens alongside a historic mansion that you can tour. The mansion is set in Pelham Bay, New York City’s largest park. The 19th century country house is situated in a 60-acre New York City Landmark Historic District and is surrounded by a “forever wild” zone. It boasts formal, terraced gardens on six acres, a Children’s Organic Garden and more. Ths long, narrow garden (just 24-by-100 feet) has a winding gravel path, rock garden, flagstone patio and many seating areas so it’s a perfect spot to stop and take a rest on a warm spring or summer day. (In fact, the slate patio is shaded by a large willow tree.) The garden opened in 1982 on the site of a tenement building that burned down. Aside from colorful azaleas, tulips, ferns and roses the garden contains a plethora of birdhouses and eight sculptures. 271 East 21st St., between 2nd and 3rd Ave.
New York is full of surprises, not the least of which is the 25-foot waterfall that makes up the centerpiece of this three-level park. Greenacre features honey locust trees, sunny seating areas and even an outdoor cafe. This is the perfect park to stop at on a cool day; its raised terrace is heated. If the weather is cold or rainy, you can still get the tranquility of a garden by heading indoors to the Ford Foundation’s Atrium Garden. It features 39 species of plants, a reflecting pool and a sensory garden with a collection of plant life you can touch and smell. Heather Garden is a three-acre park nestled in the enormous Fort Tryon Park. The area showcases flowers and plants that are adapted to the unique and varied terrain of Fort Tryon, including 46 American Elms and more than 550 varieties of plants, trees and shrubs. The garden also hosts a number of seasonal events. Leave the garden to explore the entire park, with playgrounds, fitness amenities, eight miles of paved walking and jogging paths and more. Get away from Central Parks’ bustle in this quiet, four-acre garden. It features winding paths and seasonal flora that’s particularly vibrant in spring. Nods to Shakespear include rosemary and pansies (Hamlet), thistle (Much Ado About Nothing) and a white mulberry tree said to have grown from a graft of a tree planted by Shakespeare himself in 1602. Spy bronze plaques with Shakespearean quotes to identify each plant species. There’s lots to see in Central Park, so if you’d like to check out more hidden gems, consider a Central Park walking tour to get the most of it! It’s called a Garden, but the First Street Green Garden is of a different variety. Practice graffiti without getting in trouble: at this park, anyone can paint street art murals on the walls. Murals by talented and often famous street artists are on display all the time, but due to the changing nature of the park, can be painted over at any moment. March is Women’s History Month, and today we’re shining the spotlight on destinations and events that can help you celebrate women right here in New York City. It’s probably no surprise that the women of NYC are known for the history that they’ve made. For a rundown of some of the city’s most influential women, check out The Women Who Made NYC History. Here you can check out the ladies who forged New York’s arts, literary and music scene, prevented some of New York’s finest parks from being turned into highways, rocked the music scene or simply made their mark by standing up for what they believed in or pouring money into what they thought was important. Ready to take a female-focused tour of NYC? Check out these sights and events for an adventure with some of the city’s most influential women. Pull up this map no matter where you are in the city to find the nearest site commemorating a powerful woman and learn more about her influence. There are so many parks, streets and more named after amazing women and this map is a great way to get all the details. You can walk the tour, or get around even more quickly on a Fancy Apple Bike Rental! The Center for Women’s History is the first of its kind nationwide inside the walls of a major museum. The center explores the ways that women have shaped and continue to shape life in America. A gallery of Tiffany lamps explores the hidden history of women in designing this iconic item--they labored anonymously but were paid on par with their male counterparts. Or, check out the Billie Jean King archive for an exhibit on the groundbreaking tennis player. You can score discounted passes to this and many other NYC attractions here. “She Persists: A Century of Women Artists in New York, 1919-2019 puts on display 60 artworks of 40 female artists along the themes of Body as a Battleground, Picturing People, Contending with History and Expanding Abstraction. Together, the works tell the story of women’s tenacity in the face of adversity throughout history. Pro tip: entry is free on Mondays. Self-described as a feminist bookstore, Cafe Con Libros offers “coffee, tea, books, art and community.” Sip on a beverage, browse their selection or attend a reading or book club event to be a part of the community. Check out the Met’s collection of “women who ruled, women who scared, women who patronized, women who painted, women who politicked--all role models for today’s liberated woman.” This is a fun and informative 2-hour walking tour of the Met. If you’re interested in expanding your celebration beyond the city, check out the Women’s Heritage Trail. The trail celebrates women’s contributions throughout New York State (including some NYC destinations). Check out the location of the first women’s rights convention for the birthplace of the women’s suffragette movement, the Harriet Tubman home and many more amazing sites. Take the “Great Women of New York” tour to discover pioneering women artists, activists, financiers and 9/11 heroes that are a part of the city (and world’s) history. Inside Out Tours is a certified minority- and women-owned business dedicated to presenting the history of NYC women in an engaging and sensitive manner. Looking to get in a workout during your New York visit? Double it with a women’s history tour by doing one of these women’s history runs as recommended by the NYRR. It’s March 14 (3.14) and you don’t need to be a math geek to get excited for Pi Day! Pi (Greek letter “π”) is the symbol used in mathematics to represent a constant — the ratio of the circumference of a circle to its diameter — which is approximately 3.14159. It may be a concept you haven’t heard of since high school, but we’re bringing it back today because Pi Day isn’t only about celebrating math--it’s about eating pie. And everyone loves pie! So with that, we’re rounding up some of our favorite spots for pie in New York. From the traditional to the surprising, these pies will get you in the Pi Day spirit. Might we suggest a Pi Day Pie Crawl? If you’re looking to get around New York to taste pies and see the sights, a bus tour is a great, economical option. City Sights NY offers hop on/hop off tours of downtown, uptown or all around town, along with passes to see specific attractions. 73 Gansevoort St. & 120 Hudson St.
Tuck into a traditional slice at Bubby’s, a comfort food restaurant. Go traditional with Local Apple, tropical with Key Lime or a little crazy with Michigan Sour Cherry. Pro tip: Bubby’s is bustling, so snag a seat mid-afternoon for more relaxing treat. 61 Delancey St. & 505 Myrtle Ave.
It’s nearly impossible to talk pies without invoking Petee’s. Petee herself is a former special needs teacher turned pie baker from a long line of pie bakers. Press and customers alike swear that Petee’s is the best. No matter your pie preference, you’ll find it here: fruit pies, chess pies, nut pies and icebox pies all have a spot on the menu. And if you’re dying for a slice but you’re out of town, don’t worry. Petee’s ships. Come for the cozy “homestyle pie cafe,” stay for the Case of the Mondays, a pie featuring peanut butter custard, pretzel crust and a layer of nutella, topped with a chocolate ganache and crushed potato chips. Or the Orange Chocolate Almond Pie (both vegan and gluten free--pie lovers with dietary restrictions rejoice!). Traditional pies line the menu as well. Sisters Melissa and Emily Elsen bake with seasonal ingredients and creative flavor combinations. Flavors include Salty Honey, Black Sesame Custard, Turmeric Tonic and Black Bottom Oat, among others. Ingredients are sourced locally and organically when possible and natural sweeteners like honey favored. If you’re looking for all the comfort food, Pies ‘n Thighs is your spot. Fried chicken, donuts, biscuits--they’ve all won prestigious awards. Go classic with their Apple Pie, which has won national survey awards by Food & Wine and Bon Appetit. Or, lean into the restaurant’s southern comfort food feel with Bourbon Pecan Pie. You can’t go wrong. Butter & Scotch isn’t just about pie: this women-owned and operated bar focuses on indulgent desserts and delicious cocktails. They bill themselves as “the bar and bakery of your dreams,” and they’re not wrong! The pie list is short, sweet and perfect: S’Mores, Key Lime or “Pie Roulette,” a rotating selection featuring the baker’s all-butter crust. You can also get your pie made into a DIY milkshake. There’s just one pie to get here: Crack Pie. It’s got a toasted oat crust, gooey butter filling. It’s a combination of salty and sweet and fans call it addictive. A survey of pies in New York wouldn’t be complete without it. Ice & Vice calls itself an experimental ice cream shop. Their super premium, delicious ice cream is translated into icebox pie that will satisfy the ice cream lovers in the group. They offer Detention Ice Cream Pie, featuring Malted Vanilla and a Fruity Pebble Cereal Crust, or Milk Money Ice Cream Pie with Toasted Milk, chocolate ganache and a toasted graham crust. Patrons happily wait in long lines and pay upwards of $5 per slice for pizzas at this Brooklyn legend. Many call it New York City’s best slice, with carefully sourced ingredients like imported olive oil and cheese. Pizza maker Domenic DeMarco, 81, has been slinging pizzas at DiFara since 1965 and is still heavily involved in each pie. It’s cash only, so go prepared! Try some of the pies with tongue-in-cheek names, like the Arugula Shmoogula featuring Italian tomatoes, baby arugula, olive oil and shaved Parmigiano Reggiano, or the Anise and Anephew, with fresh mozzarella, braised fennel, anisette cream drizzle, Berkshire guanciale and fennel fronds. St. Patrick’s Day is one of New York City’s favorite holidays, and the entire city gets in on it, from the wee ones to the big ones. It can be overwhelming to take in the full list of St. Paddy’s Day events in New York, so we’ve rounded up our favorites, depending on what you’re looking for. Whether you’re looking to party, have the kids in tow or want to get a dose of Irish history, there’s something here for everyone. Sober St. Patrick’s Day is a family-friendly event for New Yorkers on Parade Day that aims to provide a great time in a safe, sober environment, to “reclaim the spirit of the day” and honor Irish heritage. The event includes a light supper, snacks, dessert and soft drinks as well as first-class Irish entertainment, from singers to button accordion champions to champion fiddlers and world-class step dancers. This free series of events hosted by the New York Public Library is perfect for little ones. Upbeat traditional Irish music and songs are combined with popular toddler songs in this interactive session that will have your kids clapping, stamping and shaking shakers. CMOM is hosting a variety of kid-friendly Irish events on St. Paddy’s Day. Use the color green to make art throughout the day, create a green leprechaun hat or finger paint on a green mural wall. A true celebration of Irish heritage, visitors of all ages can enjoy this free event, including face paint, arts and crafts, Celtic language learning or trying a traditional Irish instrument. Or, simply grab a seat and check out the day’s live music and dance. Download the app on your phone for a self-guided tour of this Memorial, which represents an Irish landscape with an abandoned stone cottage, stone walls, fallow potato fields and the flora on the north Connacht wetlands. It is both a metaphor for the Great Irish Famine and a reminder that hunger today is often the result of lack of access to land. Pick your poison with a Happy Hour Pub Crawl, Luck of the Irish Crawl or Shamrock Stroll. Frolic through more than 50 bars with special deals, a festive atmosphere and more. The St. Patrick’s Day Parade takes place on March 16 this year, and Time Out New York has a list of the best places to grab a drink nearby. Get in the spirit at aptly named pubs like Finnegan’s Wake or McFadden’s and finish up at--where else?--The Irish Exit. Set sail on the Manhattan II for a 2.75 hour brunch cruise featuring authentic Irish music, a four-course, Irish-themed brunch buffet, a complimentary drink and Irish-themed cocktails for sale. Fully circumnavigate the island of Manhattan to start your St. Paddy’s Day right. Bingo Loco bills itself as Ireland’s “Maddest Bingo Party.” With foul-mouthed hosts, DJs, insane games, classic party anthems, dance offs, confetti/Co2 cannons and crazy prizes like lawnmowers, convertible cars and international trips, this is quite literally not your grandmother’s bingo game. The St. Paddy’s Day Parade is a can’t-miss for New York’s celebration. View it from 11 am to 5 pm, along 5th Avenue between 44th Street and 79th Street. The parade features entertainment from marching bands to traditional Irish music, bagpipers and dancers. There are 250,000 marchers each year. Interested in grabbing some Irish grub while you’re out? Try one of Time Out New York’s Best Irish Restaurants (https://www.timeout.com/newyork/restaurants/best-irish-restaurants-in-nyc) for the tastiest eats. If you’re planning to travel to New York on St. Patrick’s Day, Go Airlink provides an affordable NYC airport shuttle service. Check out our LGA airport shuttle, van service to JFK and more. Everyone has tip and tricks when it comes to traveling, here are a few airplane travel tips that could help you on your next journey! Even on short flights, where you are sitting on the plane can make or break your time in the air. Frequent flyers usually have a basic idea of where they want to sit – towards the front and a window seat for us! Most airlines give you the option as part of the booking process, others booking engines might not let you. If you find yourself in the second situation, keep checking back or give them a call to see when/if you’ll be able to pick your seat. Not sure where you want to sit? Check out SeatGuru or FlyerTalk to learn more about airplane seats then you ever thought you wanted to know. It’s usually a coin to which amenities you will end up with during your flight so just go the safe route and pack your own things. Entertainment means headphones, computers, tablets, books – whatever is going to keep you from going stir crazy while you are 37,000 feet up in the air. We like to load up our tablet with the latest movies, bring our noise canceling headphones, our iPhone (for music) and a paperback book. As far as snacks go, besides a free non-alcoholic beverage, you don’t get much on domestic flights. Jetblue wins this challenge by a long shot by offering unlimited complimentary name brand snacks and beverages – that means taking three bags of Terra® Blues Potato Chips has become acceptable. If you are flying other airlines and you plan ahead, you can buy snacks before heading to the airport or if you must, in the airport and keep your hunger under control while in flight. This might be a strange one, but it is something that doesn’t hurt – so why not? If you have to check a bag (and pay the lousy fee) then take a picture of the luggage tag after it’s put on. This helps you double check your luggage is heading in the right direction. If your luck runs out, and your luggage gets lost this will also help with things like paper work and insurance claims. You probably have your phone out anyway, so just remember to snap that picture. Water and disinfectant are two key things that could help prevent those “travel sniffles”. Traveling at 35,000 feet tends to dry out your skin and nasal passage which lowers your bodies’ immunity. By drinking a bottle of water before your flight, and even better, keeping drinking water during your flight, the better equipped your body is going to be to fight off germs. Another tip – you can bring an empty reusable water bottle through security and fill it up once you get to the other side. Here are some eco-friendly water bottles that will save you money and cut down on waste. Gone are the days of waiting in line to talk to customer service representatives. Most of the questions or issues you need addressed can be done so in an app. Jetblue, United Airlines, Delta Airlines and British Airways are just a few of the airlines that have excellent apps. You can change your seat, change your flight, track your luggage on connecting flights and even play games. It is also a great way to keep track of your mileage and most importantly gone are the days of paper boarding passes, now just take out your phone. New York is the best place to see a live theater act. These performances are unlike the filtered and water down presentations that you are used from your television. Get swept up in the excitement of seeing actors, musicians and performers on stage right in front of you. Producers have created several of the best Broadway shows for families that are playing throughout the year. Sifting through the clutter of Broadway shows tickets and information can be a daunting task, and not every performance is appropriate for your children. Here are some of the most successful shows that are intended for whole families to enjoy. Disney is famous for its family entertainment, and has adapted its popular animated film for the stage. This show has received some of the best reviews. Taking your children to this performance gives them the chance to see their favorite characters sing and dance live before their very eyes. Another Disney adaptation, this performance features one of the most colorful arrays of costumes, lively dance performances, and original music. If your children are already fans of this story, they won’t want to miss this theatrical presentation of Simba’s transformation from a lion cub to a king. Unlike other performances, this is not a musical nor does it follow a traditional storyline. Instead, mimes painted in blue work together in a hilarious combination of acts that will keep you guessing throughout the show. Combining humor with percussive music and choreography, the Blue Man Group serves up excitement and creates a multisensory experience that you won’t find anywhere else. BROADWAY SHOW TIPS & TRICKS! In addition to just selecting the right show, you need to plan your trip out carefully. This may be your first time at the theater, and although the experience can be unforgettable, it can also be overwhelming if you are unprepared. • Turn off cell phones and other portable electronics during the performance. Don’t miss out on the live theater. Talk it over with the rest of your clan, and decide on a show you will all enjoy. Complete your visit to New York by watching one the best Broadway shows for families. On Tuesday, July 3rd we had a wonderful Go Airlink/My Sedan event. Thank you to all the drivers who stopped by to say hello. Heartland Brewery Gift Card – Tony B. Heartland Brewery Gift Card – Kadialiou B.
Bateaux Dinner Cruise for 2 – Juan O. Spirit Dinner Cruise for 2 – Lucien M.
Hornblower Lunch Cruise for 2 – Ronald M.
Manhattan by Sail Sunset Cruise – Kevin H.
Theater tickets to Smokey Joes Café for 2 – Steve R.
Theater tickets to Smokey Joes Café for 2 – Hatim S.
Bag, water bottle, cozy, t shirt and entrance to One World Observatory – Carlos S.
Gift card to A list of Restaurants by The Fireman Hospitality Group – Yana K.
A 1 day Sightseeing Pass for 2 – Michael B. Century 21 Gift card – Walter M.
2nd Prize: American Express Gift Card to Jesse D.
1st Prize:American Express Gift Card to to Saqib S.
Grand Prize: 2 night trip to Philadelphia which includes Amtrak train, hotel and sightseeing for 2 goes to Samuel N.
A special gift card for a great job goes to Edwin B., for an exceptional job well done. Edwin had the most and best reviews for the last 6 months. His guest enjoy his service, vehicle and outstanding customer service. Thank you Edwin! Thank you to all of our partners who helped put this together. We love working with you and hope that shows by recommending you to our own customers. Congratulations to all the winners! GO Airlink and MySedan could not run without our amazing team. We are privileged to be surrounded by such an amazing work family to continue providing great service to our customers. It’s 10 am. You’ve arrived in New York City. But your AirBnB won’t allow you to check in until 3 pm. Now what? Head on over to Times Square, of course! Time is of essence especially when you’re visiting a new city. City CoPilot, a luggage storage and concierge service, understands that beyond a doubt and is the perfect solution to your problem! Store your luggage at City CoPilot’s Times Square location and explore one of New York City’s iconic locations – worry-free! City CoPilot first came into the scene in 2014 when it opened up its first location in the Lower East Side. As New York City’s first “front desk” for tourists without a hotel concierge, it’s very popular with both tourists and locals. 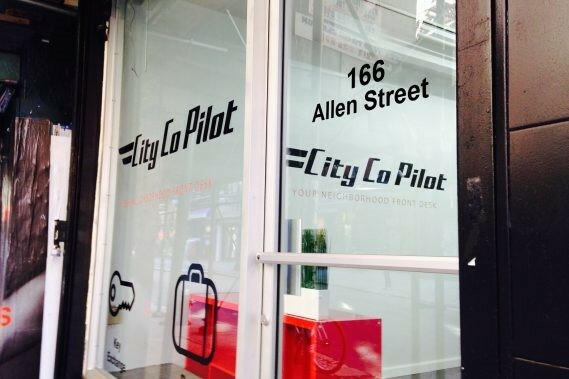 In addition to their Lower East Side location, City CoPilot is also in Midtown Manhattan with future plans to expand to West Village and Jersey City! City CoPilot’s wide range of services not only caters to tourists but NYC locals as well. They are well known as a short-term luggage storage service but City CoPilot offers a plethora of other services like 24/7 key exchange, apartment cleaning and turnover, airport transportation to all major NYC airports, as well as package acceptance for locals without a doorman. At City CoPilot, you can also book affordable transportation to La Guardia, JFK, and Newark airports thanks to our partnership with GO Airlink NYC! Customers can choose from multiple vehicle options, including sedans, SUVs, vans, and more – perfect for any group size! 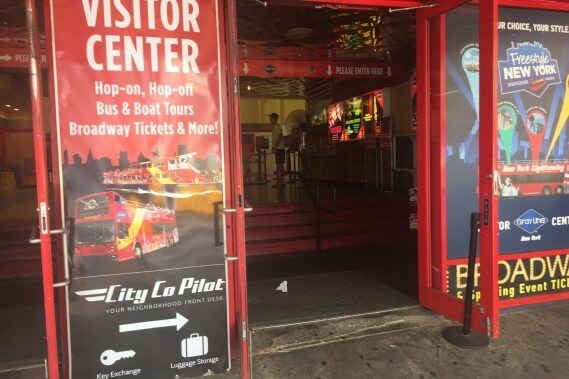 Professional staff at City CoPilot’s Midtown Manhattan location, which is conveniently located inside the Gray Line Visitor Center in Times Square, help guests book tours and attractions while they pick up their Airbnb key or drop off their suitcases. You can even get Broadway show tickets! City Co Pilot’s 5 star reviews on Yelp are a testament to the quality of service provided to customers. Customers are thrilled about the secure, reliable and convenient way to store luggage in New York City. And the best part is that rates start at only $10 per bag! Bring coloring books and crayons or a doodling board for your young Picasso. Nothing makes a trip go by quicker than getting lost in a good book. Bring picture books for younger children, like Where the Wild Things Are by Maurice Sendak, The Giving Tree by Shel Silverstein and Green Eggs and Ham by the infamous Dr. Seuss. Other classic reads for your older kids are Holes by Louis Sachar, and of course Harry Potter. Comfort is key! Make sure to bring a blanket and pillow for your child so they can rest up easily. Bring electronic items such as your iPad or smartphone for your child to watch videos. LeapFrog also offers a device perfect for travel called the Leapster GS Explorer Travel. It comes with a convenient case that protects it and makes travelling more organized. Download interesting apps that will keep your child engaged while having fun. A few top-rated kids apps are “Endless Alphabet”, an interactive app that teaches the alphabet along with colorful cartoons. “Me Comics” is another, enabling the child to read and record their voice narration of their favorite cartoon characters. In addition, “Disney Story Time” is another kid’s favorite pick, including dozens of Disney’s most famous tales, from Frozen to Lion King. You can also download tons of apps for Leapster, from learning games and ebooks to music. Tame your child’s tummy by stocking up on plenty of snacks. Prepare peanut butter and jelly sandwiches, fresh fruit and vegetables and fruit leather (instead of Fruit Roll Ups) to name a few. Some other ideas are string cheese, rice cakes, cereal, Go-Gurt, Lunchables, and juice boxes. Try out Back to Nature juice boxes—there are no artificial preservatives or added sugar, so you won’t be chasing after your hyper toddler. Make this trip an easy, relaxing one by keeping your child occupied. Follow these tips and you’ll be out of that minivan and at your destination in no time!